A human being is capable of remembering 35% of what they smell, and only 5% of what they see. It is undoubtable that smell is such an important factor in a person’s state of mind and memories. Since 2017, Mayoral has been present in this important part of early years development. The launch of the first Mayoral fragrance for girl and the subsequent Explorer eau de toilette, which was introduced in mid-2018, represented a leap into the world of perfume. Created by Givaudan, one of the most renowned perfumers worldwide, the first Mayoral fragrance’s main scent is a note of pink pepper. The perfume’s body is framed with a youthful rose aroma and a natural background of moss essence and floral touches provides a fresh scent. 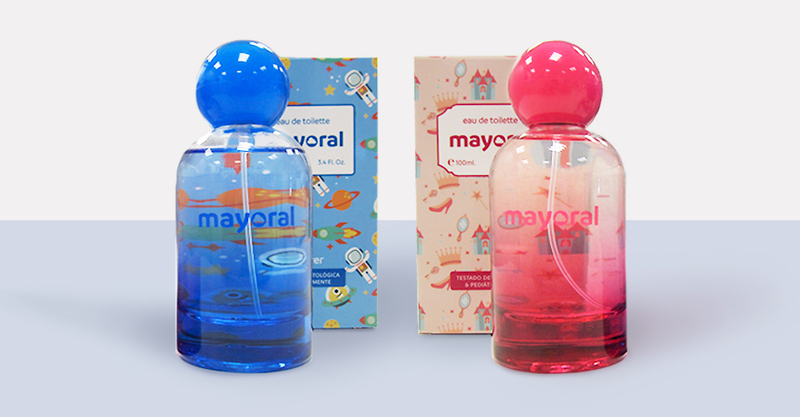 Mayoral's Explorer fragrance reflects the personality of youngsters nowadays. They have character, a desire to have fun and discover what surrounds them. Fashion and fragrance accompany them on this journey of exploration. The main scents that come together to make the Explorer fragrance are lemon and bergamot, whilst a cardamom aroma that provides a touch of citrus and spice at the same time forms the body of the perfume. The natural background scent of musk essence brings a refreshing smell. Both fragrances are presented in a 100ml bottle with vaporiser. They can be purchased through the Mayoral online store or at any of the 210 Mayoral stores that the brand has in Spain, Portugal, Italy, Greece and Romania; they can also be found in establishments specialising in children's fashion.